Is there any bikes/motors like this gentleman's currently for sale (or in production)? This is a wonderful blend of fit and function while honoring the classic look with modern HP! Any leads would be greatly appreciated. The v8 Indian was made by an enthusiast in New Zealand. If you want one you would need the skills to build one for yourself or hire someone to build one for you, an expensive proposition. I believe our friend Tommo knows the builder. The man did this for, and by himself so there probably won't be another. 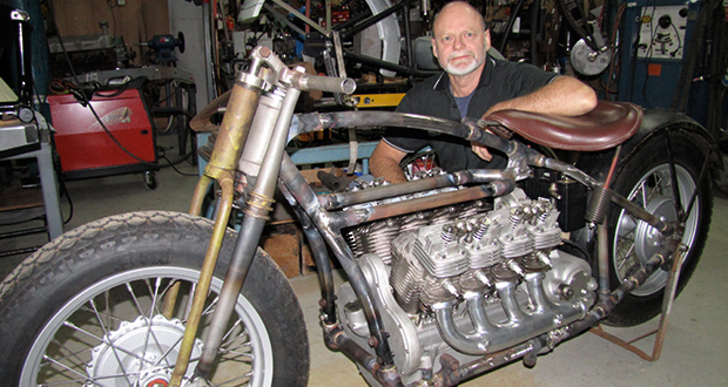 That bike was a true custom motorcycle, and pushed the skills of a 'real' bike builder to an admirable limit. I endevor to do all of my own work, but this builder took it to another level.